Saturday, April 6! 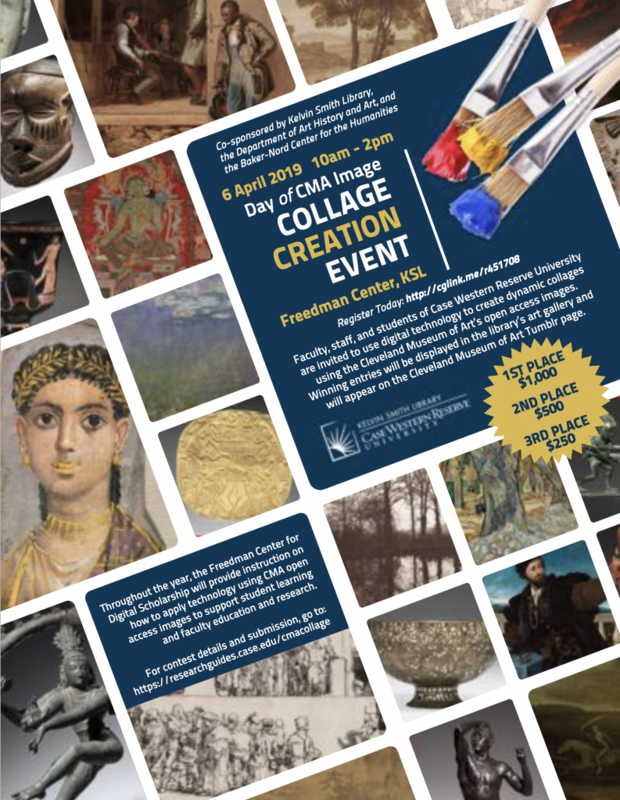 The Kelvin Smith Library and the Department of Art History and Art are teaming up to host an image mash-up/collage-making day, with judging by art history faculty and monetary prizes! We will be using the newly available, high-quality, Open Access images from the Cleveland Museum of Art. Training will be provided.